A composite door is a long-term investment. As well as being a stylish addition to any home, it won’t warp or crack in response to weather conditions. Novaseal’s composite doors are made by Vista – a leading industry manufacturer – so you can buy from us with confidence. Our Vista composite doors feature a high-density foam core and are protected by a glass reinforced plastic skin (GRP) that stops rain and wind from penetrating the profile. The residential entrance created won’t break in response to impacts or difficult environmental conditions. Access our portfolio of beautiful composite doors to find your perfect design. Whichever product you choose, it will perfectly replicate the look of traditional timber. Light Oak and Rosewood are just two of the coloured woodgrain foils you can choose from to colour your frames. Contact us for advice. A range of composite door styles can be found in our brochure – so you’ll be able to find a product that looks the way you want it to. Jacobean – the slim inline glazing that features in this stunningly designed entrance door makes it hard to forget and creates a distinctly European look. The Regal – an American-styled residential door described by a wide glazed area that will let lots of light into your home and make it feel spacious. Georgian Two – the truly unique appearance of this entry in our composite doors range features a glazed semi-circle that’s split into two sections. 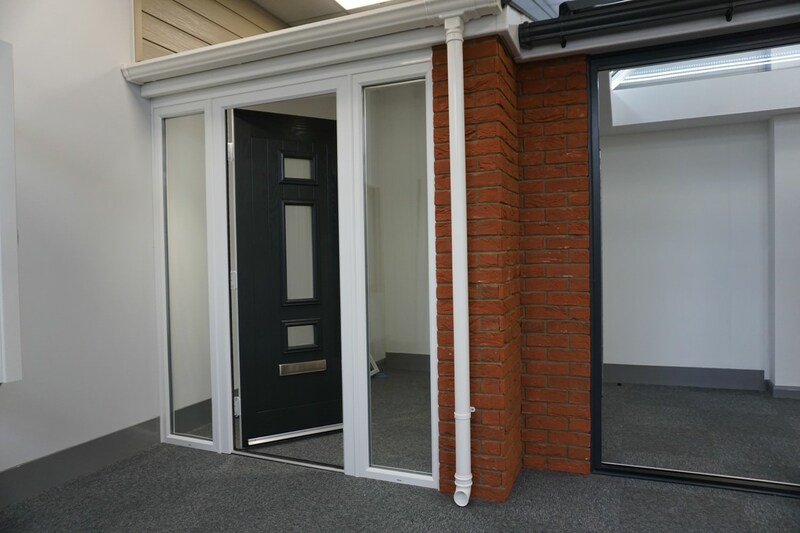 Aside from the wide range of composite doors we offer, each one can be customised to your exact specifications by choosing from the below options. Glass. Many of our residential doors can be built to include obscure glazing for added privacy. In most cases, you’ll be able to choose double or triple glazing. Accessories. Add that all-important finishing touch to your new entrance door with a letterbox, urns and handles. Ask for more details when contacting our team. Colour Range. Even our standard palette includes seven colours. Explore our RAL colour portfolio to unlock a limitless range of shades to personalise your door. Colour Foiled Frames. Our composite doors can be customised inside and outside. Use the same or different colours to ensure consistency of design. Talk to the Novaseal team today to find out about the exciting options you can access to bring your composite doors to life. Contact us for advice. Find an entrance door that meets the specification of your home improvement project in full. With so many designs to choose from, you’ll struggle not to find your perfect match. The Novaseal team will be able to help you with any questions and can provide a free composite door quote for your reference. Here are just a few of the advantages of choosing your composite doors from Novaseal. If you have a question, we’d love to help. Our composite doors have been tested to make sure they meet required industry standards. In fact, your Vista door will exceed recommendations to deliver a product that’s been approved by Secured by Design – a police initiative designed to test how well a door or window protects someone’s home. Specialist equipment is needed to bypass the security mechanisms in our composite doors, which includes a five-point locking system, anti-snap cylinders, an impact resistant GRP skin and more. Even the most experienced and persistent intruder will struggle to gain access. Your new entrance door will reward homeowners with superb aesthetics underscored by equally incredible performance. Each profile is designed to expertly retain heat and will do so even more effectively than a product manufactured using steel, traditional timber or uPVC. A minimum Windows Energy Rating (WER) score of ‘B’ is achievable with our composite doors, but in many cases, our products outperform this standard. Depending on the glass you choose, your entrance door could return a U-value as low as 0.8. 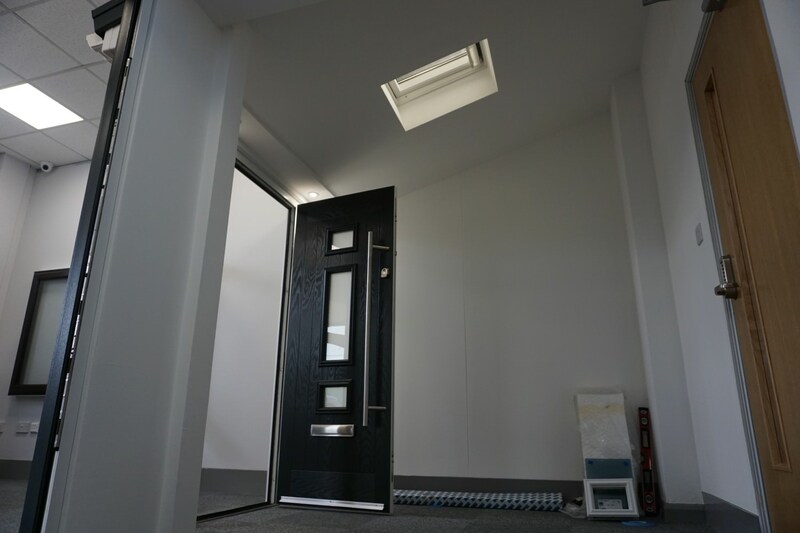 Composite doors from Novaseal are compatible with wider openings and can include any one of a range of sidelights – immediately adding decorative value and improving light penetration. Novaseal is an accredited company. We are members of Certass and belong to the Which? Trusted Traders scheme. Explore our composite doors and, if you need help with a big project, look at our doors, conservatories and much more. You can get prices within minutes by using our online design tool – and as often as you need for any of our products. Build your perfect composite door; talk to Novaseal today. Call 01329 233500 or use our contact form to send us a message.